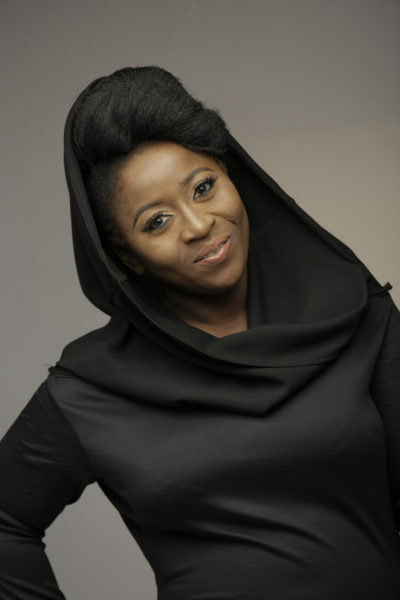 Foluso Alimi* was raised by her mother and step father in Lagos. Her step dad had been responsible for the education, welfare and general upkeep of Foluso and her siblings. They had gone to the best schools and they had the love and dedication of a man who was committed to being a father to them. He was the one they reached out to when they were hurt or in pain. He was the one who motivated them when things got dark. Their step father was ‘Dad goals’ for real. Shortly after Folusho completed her Master’s degree she decided to get married.The unspoken assumption was that the man who had raised her was going to give her away at her wedding. 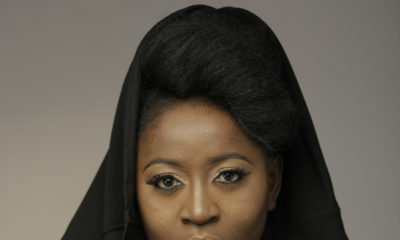 (We really need to discuss the culture of giving women away like chattel, but today is not the day) So, with the wedding plans underway, everyone’s roles were settled, then Mama Foluso received entreaties from family members, asking for Step Dad not to take the “rightful” place of Foluso’s biological father. Yes, her biological father was alive. No, he had not been in her life since she was seven years old. Yes, he lived in the same city as Foluso and her sisters. However, in spite of this, his relatives believed that it was critical that he be in attendance at his daughter’s marriage. They indicated that it was simply not right for him to be alive and not give his daughter away in marriage. According to them, it spoke volumes (and not in a good way) that he was to stand aside while another man takes his place. They cajoled Foluso’s mother for weeks leading to the marriage till she succumbed. She appealed to her daughter to please, just this one time, give into the pleas. Foluso’s refusal was adamant. No! He isn’t my father, why should he be in the picture at this point? Why do we have to do this to keep up appearances? Eventually, they came to an agreement, absentee dad was going to be at the traditional marriage ceremony, while step dad was going to walk her down the aisle, at the civil ceremony. The concession also involved some politics on dressing: was absentee dad going to wear the same outfit as Mama Foluso? That was where both women drew the line. No matching outfits for absentee dad. This narrative is quite common in Nigerian families, especially because of the inherent Nigerian cultural expectations, and our affinity for keeping things secret. A sore may fester for many years, but even more horrendous is the slight hint that it becomes visible to the public. We don’t mind nursing our wounds till it kills us, as long as nobody sees it. The story of parents who abandon their children for years (for reasons best known to them) is prevalent. It is well knit within the fabric of our culture and experience as Nigerians. Men and women have children that they are ill-equipped (financially and or psychologically) to raise. There is an inherent pressure to procreate, because going forth and populating the earth is a divine injunction. Unprepared for the task ahead, these parents then abdicate the responsibility of raising their offspring(s), either to the other parent or to their own parents. In some instances, it is due to circumstances beyond their control; in other cases, it simply because they are afraid of what is required/expected of them. Years pass by and things change; they want a chance to be re-integrated into the abandoned child’s life. They have learned a lesson or two from their life experiences. They see the error of their ways (or maybe not); they are getting older and they begin to feel that their life is meaningless without the inclusion of their children. They want to rebuild a bridge broken after 10/20 years, and what better time to re-unite with a child that you’ve had nothing to do with, than a celebration of something momentous in their lives? 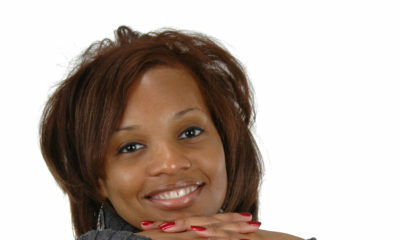 Graduation, award ceremony, wedding, house warming… the abandoning parent sometimes wants to use this time to reach out. So, they recruit family members to employ emotional blackmail, sheathed under the cloak of reconciliation. The recruited mediators usually employ tactics such as appealing to the abandoned person’s sense of shame: “do you want people to laugh at you?” Other times, they come pleading, stating that the parent that abandoned you has changed and they are ready to be absorbed into your life – starting from getting a front seat at your award ceremony. The mediators rarely take into consideration, the immense trauma inflicted on the child as a result of the abandonment. They advocate for forgiveness and moving on without unpacking the effect of lifelong trauma. Also, because Nigeria has a culture of the elder is always right, the mediator usually employs bullying as a means of getting what they want. I spoke to a couple of people who were abandoned by their parents. Florence* said she was unsure she’d be able to recognize her father if she walked past him today. Speaking on whether there was any possibility of reconciliation, she said that her father’s children had made several entreaties to her on social media on his behalf. She has repeatedly told them that everyone should stay in their lane. If she has done well without his presence, all those years, there was no reason to change anything. She had no interest in building a relationship. I jokingly asked her if her stance would change if and when she won the Pulitzer prize, and he asked to come. Her dry laughter and the non-committal look in her eyes said all the things her mouth would not. Ola* mentioned that she looked forward to her mother coming back for her. If for nothing, but for closure, the need for answers. Ola’s mother never reached out till she died. Greg’s mother left for England when he was 7. Greg’s father married the woman who was the source of marital strife between his parents. He harboured the resentment against his mother for many years, especially when he found out that she had started her life all over again. His re-union with his mom was weird; but he recalls it wasn’t as bad as he imagined it would be. He had gone there hoping to confront her, but had ended up broken when he heard her side of the story. Their relationship today is still shaky, but he says he is taking it one day at a time. For parents like Greg’s mother, who are able to find some form of moral justification for abandoning their parental responsibilities, there is the temptation to feel entitled to the forgiveness of the child. Often times, it is this group of parents who reach out to relatives to intercede on their behalf. For those parents who don’t feel remorse, the relatives who mediate are probably doing it out of an inability to mind their own business. In any case, there are a few things to note for the abandoner, the abandoned and the middle-men. For the abandoned, recognise the trauma of being abandoned and work through it at your own pace. A lot of times, because of the prevalent culture of bullying, people abandoned by their parents are not allowed to heal. If you were abandoned by a parent, please seek professional help for the mental trauma. Don’t bury it; unearthing said trauma is the first step to identifying whether you are willing, ready and able to have children of your own. Embrace the love you have been blessed with – it could be love from the other parent, an aunty, a grandparent, a family friend. Embrace that love and know that love doesn’t have to come from people who share the same DNA with you. For the abandoner, you know the circumstances that led you to take the decision to leave your child. You know the factors that necessitated your inability to be in your child’s life; right or not, rest assured knowing that at the time, you did what was best for you. Having said that, be patient. Knowing that you made your choice all those years ago, it is imperative that you understand that the children you left behind are allowed to take as much time as they need. It took you eight years to realize you want to be in your son’s life? Acknowledge that it might take eight years or even more for the son to want you in their life. Don’t feel entitled to their affection; you’ll save yourself a world of hurt and pain if you accept your that actions have consequences. For both parties, address the elephant in the room. Often times, a mother who abandoned her daughter 10 years ago returns and wants to start complaining about pierced earlobes and short skirts. No discussion, just straight up, I’m your mom, so you do what I tell you. Well, no, maa’m! You missed your chance give orders while she was a teenager. You can’t show up when she’s 28 and simply slide into the role. It is imperative that the conversation is had. With or without a mediator, it is imperative that the answers are provided. The answers don’t have to make sense to the abandoned, they simply have to be the truth. In fact knowing the real reason why the parent left may even disrupt all notions and fantasies the child may have had. However, ripping everything apart may be the best place to start from. Finally, to the middlemen: resist the urge to insert yourself into a situation that most likely has nothing to do with you (unless you’re the cause of the abandonment) Remember that your role is simply that of an umpire: stop the players from coming to blows, and keeping the rules of mediation in place. Don’t go home and spread the gist of how Lani didn’t even kneel down to greet Brother Bambo. Also, don’t follow up with Mummy Lani incessantly reminding her that to err is human and to forgive is divine. Allow people grieve at their own pace. Unless you’re a professional therapist, do not drop soundbites during the mediation session that will do more harm than good. Over all, life is short… it’s such a cliche, but one minute we’re here, the next we’re dead. Find happiness wherever you can. And when you die, know that you felt peace in your heart at all times. You probably wanna read a fancy bio? But first things first! Atoke published a book titled, +234 - An Awkward Guide to Being Nigerian. It's available on Amazon. ;) Also available at Roving Heights bookstore.Okay, let's go on to the bio: With a Masters degree in Creative Writing from Swansea University, Atoke hopes to be known as more than just a retired foodie and a FitFam adherent. She can be reached for speechwriting, copywriting, letter writing, script writing, ghost writing and book reviews by email – [email protected]. She tweets with the handle @atoke_ | Check out her Instagram page @atoke_ and visit her website atoke.com for more information. I thank God that I had a wonderful dad. But if I had found myself in Folusho’s shoes, he WILL NOT be invited to the wedding at all. I’m sick and tired of seeing people who abandoned their children when they were vulnerable trying to come back into their lives when good things are happening for the children. If the children as adults were in need, would they have reached out? This acceptance of these kind of parents is one of the things that motivates some boys of this generation to run away from their responsibilities, after all they can always repent and ask for forgiveness when they’re older. I know as Christians we are to forgive and forget, but they should also suffer the consequences of their actions which rightfully should be denial of the privileges they would have enjoyed if they had done their part. I feel it’s extremely unfair to the other parent or adult who stepped up. @ Dear Puzzles, as Christians, we are to forgive. No where as God said we need to suffer amnesia. Forgive, learn and move on. If you however decide to choose selective amnesia, that is on you o. Thank you! People need to earn that this forgiveness thing is not by pressing “off button” . The memory is there to ensure you are cautious against future hurts. The forgiveness is made because you do not want to become a slave to the memory. In the name of religion, we sometimes place unrealistic expectations on ourselves. We forget to be real humans with loved experiences. This happened to my wife. Till date I absolutely respect her mom for the bold decision of having the traditional wedding at the biological dad’s compound. My own mom will NEVER ever agree to such. Atoke!!! Reading this article, I was so pissed, not because I have a parent who abandoned me, but just cos I’m sick of Nigeria and entitlement. Entitlement is everywhere and it freaking stinks! It took me right back to Dele Alli’s choice to play for England during the World Cup, and some people (I really want to say idiots) vex that he’s not representing his home country. Please define this?- Because his dad is Nigerian or he bears the name Dele? Was the father in his life – No! Did Nigerian representatives pay for his after school soccer practice when he was a kid – No! So please, why do you feel the need to claim him now or for him to claim you?! To me, anyone that has not made any active contribution towards the growth of something or someone has no right, ABSOLUTELY NONE to claim glory. If anything, just appreciate the person or people that contributed. Don’t feel entitled because all you did was provide sperm to fertilise egg, or vice versa. Stop giving roles to people who are less deserving in your life, and stop expecting to be handed a trophy when you’ve done nothing. I will buy your book before this year ends. Thank you for writing this. I wasn’t quite abandoned but I share some sentiments of being sent away. Granted I wanted to come here to study medicine when I was a kid. Somehow at 11, I knew just how big this decision would be. My grandmother told me I was crying in the waiting area while waiting for our departing flight. It’s been 15 years now. I don’t know them. They don’t know me. My family has been of my own choosing, of people who love me and want the best for me. They made that decision because it was what I wanted and we all knew it was the best for me. How can there be a smidge of anger and resentment when I completely understand the situation. But yeah, no parent who wasn’t a parent gets to show up and show out at your days of celebration! This happened in my family this last Thursday. I was shocked when I entered the living room and saw my dad seated in his “rightful” place at my sister’s introduction. His brother and his wife who encouraged the abandonment were also seated at the front row. I hadn’t set my eyes on them since 2003. My father’s sense of entitlement clawed on raw skin when I heard about it. He came back into our lives in 2015, legally blind, destitute, almost deaf, definitely senile and with absolutely no sense of shame. Demanding Anchor butter and Lipton tea for breakfast the morning after his arrival. Did I also mention that he was abandoned by his family after they had bled him dry? I hadn’t set my eyes on him in almost three years since he came back. I neither love him or hate him. I am very indifferent to him. There is absolutely nothing to forgive. Maybe people may not understand, but it was a blessing to us when he left. My mother didn’t remarry and no man came into our lives. We had many father figures, from the church, family friends, and my mother’s brothers. They all took good care of us. Anyways, it was my sister’s Introduction. I asked if they got her consent and she said yes. I even sprayed my dad on that day. It’s not about forgiveness, letting bygones be bygones or permitting Jesus to take the wheel. You cannot reap where you did not sow. I don’t care about them enough to reckon what they might think one way or the other. Of course they are invited to my wedding if it ever happens. But strictly as guests, not as family. I’ve learnt water can be thicker than blood. I’ve learnt that there is a friend that sticks with you closer than your family. I’ve learnt that forgiveness that not always means reconciliation. 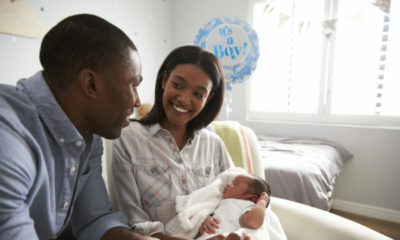 Wande Ilentamhen: How Do You Know It’s Time to Start Trying For a Baby?